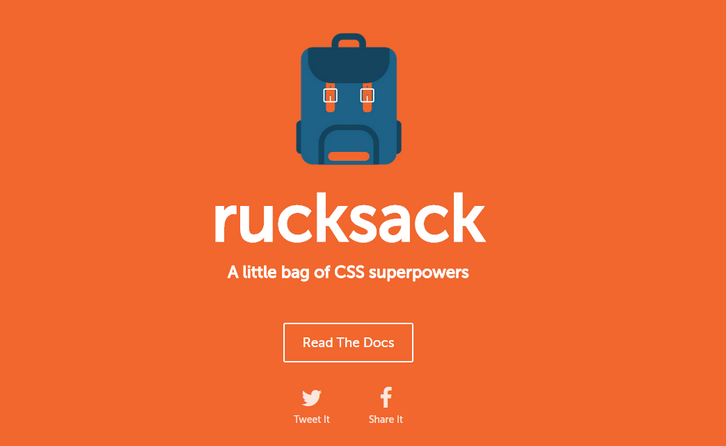 Rucksack is a little bag of CSS superpowers. It makes CSS development fun again, with features the language should have come with out of the box. It’s built on PostCSS, it’s modular, it doesn’t add any bloat, and it’s lightening fast. Integrating Rucksack into your workflow is easy. There are plugins for most build tools, and an npm module to integrate it manually or process your CSS directly on the command line. Since it’s built on the PostCSS ecosystem it plays nice with all other CSS pre and post processors, and can even integrate into Stylus directly.